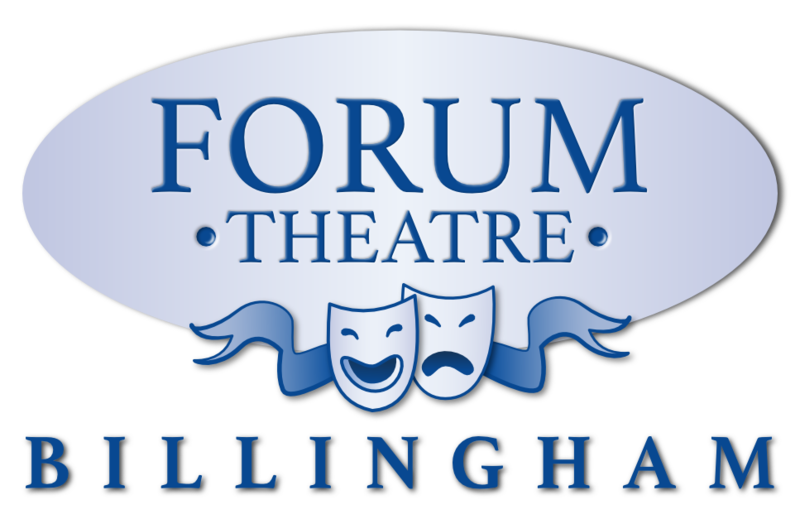 The Forum Theatre Box Office is located in the foyer of the Theatre and is currently open Monday – Saturday from 10am – 6pm. Please call 01642 552663 for reservations or queries. Online bookings can be made via this website 24 hours per day, every day – simply choose the show you wish to book and click on the “Book Online” link. On performance days the box office will remain open until 30 minutes after the start of the last performance. If a performance is taking place on a Sunday, the box office will open 2 hours before the start of that performance. The Theatre now also offers a 24 hour on line booking service which can be accessed through this website – simply select the show you wish to book and follow the on screen instructions. Please note that when selecting your seats the system will not allow single seats to be left alone, ie. It will not allow a booking of 2 seats within a group of 3. The Forum Theatre is committed to ensuring that our performances are as fully attended as possible, both in the interests of our producers and our patrons. Potential occupancy could be severely compromised if we are left with unsold single seats and as a business we need to manage the supply of tickets. In the majority of cases our single seat policy doesn’t hinder the ticket purchase process, but there will be instances when the online purchase process will fail, for example when customers are told they cannot buy two tickets because it would leave a single seat. Please note that for Online Bookings, where we can’t guarantee that their is sufficient time for tickets to arrive by second class post by the show date, we will automatically hold those tickets in the box office for collection anytime prior to the show. For larger or group bookings please call our box office as there may be discounts available to you. Concession priced seats are also available (where shown) to children (under 16), students in full time education, seniors (in receipt of state pension) and registered disabled. A Family Ticket is sometimes available and where shown consists of 4 tickets – at least one of which must be a child. For information regarding our Disabled Facilities and Seating Arrangements please go to the “AMENITIES” link at the top of the page. The management of the Theatre reserve the right to refuse admission and to make any alteration in the cast or programmes rendered necessary by unavoidable cause. No ticket refunds or exchanges given. All bookings will be susceptible to the charges listed below. If a performance is cancelled by the Theatre a full refund can be obtained by contacting the box office. In such a case only the full ticket value printed on the face of the ticket plus any booking fee incurred will be refunded. All tickets purchased on line or over the telephone via our box office will normally be posted out from the Theatre within 5 working days – unless the customer has chosen otherwise. Once purchased, no refunds or exchanges can be given. Any ticket reservations will be held for a maximum of 5 days and then automatically released back into the system if full payment is not made within that time. For group bookings made at the box office, a deposit amount can be agreed between the customer and the box office. Final numbers should be confirmed and any final payment made at least one calender month in advance of the performance date. Failure to do so will result in the booking being cancelled. All deposits are non – refundable. PLEASE NOTE: Any person deemed by the staff of the Theatre to be causing a disturbance or a nuisance will be asked to leave immediately without refund. Please also note that ABSOLUTELY NO PHOTOGRAPHIC EQUIPMENT, VIDEO EQUIPMENT OR MOBILE DEVICES can be used in the auditorium. Use of these devices may result in customers being asked to leave. On Line Bookings: £1 per ticket booked. All on line bookings are processed via our merchant based in the Republic of Ireland and are in Pounds Sterling. At The Box Office: No charge except £1 to cover postage if required. Anyone wishing to bring a baby with them to the theatre will need to purchase a baby ticket (only available via our box office). This allows access to the auditorium for babies on a parent’s knee but does not grant them a seat. If a seat is required then a concession priced child ticket should be purchased (where available). To qualify for a baby ticket the baby must be under 2 years of age at the time of the performance. Strictly only one baby allowed per adult. The current price of a baby ticket is £3. Please note that any babies or young children causing a disturbance or distraction to others should be taken out of the auditorium immediately.